It was my girl's 5th birthday, so I made red eggs, and shanghai noodles with ground beef. A cabbage, pancetta and onion tart.Tarts are my way of ensuring that all is well in my universe on Sunday mornings. A little juice, a little tart, a lot of coffee and the New York Times and all's right with the world...at least until Monday morning. So I decided for a Christmas and Birthday present combination (I'm college-grad poor with loans up the arse) I decided to take my girlfriend to New Orleans for 3 night. Great trip; great food; great company. Anyway, after the trip, we had to leave (the nice weather) for Detroit. Lucky for us, we arrived just as the blizzard hit. Snow was coming down like crazy, and we were scheduled to leave on a tinny, 49-seat, connecting airplane for Philadelphia, where it was cold, but sunny. So after boarding the plane and taxing out to the runway, we were told to wait it out for an hour and a half. After that, we had to de-ice the plane, after that, we were told to go back to the terminal. That was fun! The next flight to Philly is at 9:55p (our original flight was at 3:40p) which had enough empty seats on it to fit the entire connecting flight of 49 people. The person at the gate with the intercom (or as I like to call 'The Gatekeeper') said that our flight was canceled and she would put all 49 of us on the plane later that evening. To kill time, and hunger, my girlfriend and I decided to get some sushi. At 7:30p, right as we are about to dig into some salmon and octopus, a couple from the earlier plane come running up to us saying that the original flight on the smaller airplane was ready for takeoff and that whoever got there could leave Detroit an hour and a half early. We deicded to take our chance and board the smaller flight, hoping that the 20 minute window of clear skies could hold off long enough for us to take off. So we board the plane, noticing that the original 49 people is now down to about half of that, and the stewardess says that our checked baggage isn't on the plane (which is fine with the both of us as we had carry-ons). Everyone is yelling "Just take off! ", so the stewardess takes a vote of who wants to wait for the baggage and who wants to leave now (my first time with a vote on an airplane, so I was ecstatic). We decide to leave now, WHEN THE BAGGAGE SHOWS UP. So we wait 30 minutes for the baggage, then we have to de-ice the plane AGAIN which took another 20 minutes. We get out to the runway, when the pilot says...*take a guess*. We taxi back to the terminal where we are told to stay the night. But what about the flight at 9:55p, you ask? We missed it. GAH! We get back to the terminal to talk to a Delta representative about getting another flight to Philly the next morning. He said that there was one at 10:30a and that we could be on it, but there is a good chance that it will be canceled too. We concluded that, since we were going back home, we could get one of our family/friend members to pick us up at one of the local airports besides Philly (BWI topped the list, followed by Reagan, Dulles, Newark, and JFK). We ended up picking BWI as that flight left at 7:30a and also has a shuttle to a nearby Amtrak station (YAY!). So, to conclude the night, we go to the local airport bar to drink heavily, then pass out under a bench and a payphone. We make the flight where it actually takes off. When we arrive at BWI, we get to the Amtrak station, get the tickets to Wilmington, DE (final destitnation) and have my mother pick us up to drop us off at my apartment. First think I do is take a 4-hour nap. After my shower, I reached for my BRAND SPANKING NEW Bouchon Cookbook, which I got right before I left, and opened it up to the roasted chicken recipe. I needed something that even Thomas Keller proclaims is his favorite thing to eat as I just had a Sunday evening/Monday morning of hell. Side order of chickpeas and carrot salad. All in all, it was amazing and hit the spot so badly, even a vegetarian would have had a hard time rejecting it. I break out the recipe for 'The Perfect Sandwich' that Keller taught Adam Sandler to make in 'Spanglish'. Bacon, lettuce, tomatoe, and friend egg with Gouda Cheese (I didn't have Monterey Jack) definitely hit the spot. After it was all done, my girlfriend and I were stuffed and passed out from lack of sleep. I made the best minestrone soup EVAH!!! And added shredded kale for the first time - YUM! I was in need of comfort, too, although my challenges are nothing compared to your. Best wishes to you. So, last weekend I made a favorite meatloaf. I don't do it often but sometimes it's just what I need. I love meatloaf sandwiches made with the leftovers. This weekend I made broccoli cheddar soup on Saturday and stuffed peppers with feta sauce from Sundays at Moosewood on Sunday. On Monday I ate leftovers and made muffins to freeze for breakfasts. My favorite part about the pepper recipe is that the filling freezes well - I can make a full recipe and not waste any of it. Living alone I usually end up throwing some away if a recipe makes more than three servings, I just can't stomach more leftovers than that. Linguine tossed with chickpeas, zucchini and parm, followed by white wine out on my balcony. The weather in Texas was a-maz-ing this weekend. I made a slow roasted duck. It was heavenly! Very crispy skin, moist duck meat. I made Mario Batali's recipe for Minestra di Faro Lucchese - basically a simple minestrone with farro. Fabulous! Very tasty all. I've already picked up more tins of chickpeas to play with, and I'll probably redesign the chicken dish to be more simple, but use the same flavours. And up the spiciness of the beans and rice. But a satisying little whirl in the kitchen! I made marshmallows that were so delicious that i pretty much ONLY ate marshmallows until they were gone. Rather than cooking, I was attending a "Food Justice" conference over the long weekend. We did eat Indonesian, Pakistani and Phillipino food at a local Asian Cultures Festival though. Yum! I'm cooking mostly from Great Chefs Cook Vegan, just for a change of pace. This weekend I made two dishes from recipes supplied by Jason Cunningham. Both were delicious. First up was a butternut squash soup with a little pile of slaw made from a Granny Smith apple and radish, lightly seasoned with lime and salt in the center. Dots of fragrant herb oil, Italian parsley, basil, chives and spinach in canola oil surrounded the slaw. The entree was layers of grilled tofu and eggplant on somen noodles served in a red curry reduction. The eggplant and tofu were marinated in sesame oil, soy sauce, rice wine vinegar and ginger. The curry was Penang powder in coconut milk, mild and aromatic. The side dish was fried okra, also delicious, but that was my mother's recipe. It was elevated comfort food. Vegan, schmegan, it's just good. So. This weekend, instead of cooking as per the usual, we took a 4 day weekend in NYC for a culinary march - largely on foot! In between touristic activities the following occurred. Friday, we hit Thai at Chelsea market for lunch and Torrisi's Italian Specialties for dinner (highlight: dessert). Saturday saw us first in line at M. Wells in Brooklyn for Quebecois breakfast cuisine - escargot and bone marrow for breakfast? For sure! - then stopovers for brews at Brooklyn Bowl, Brooklyn Brewery, and Superfine, followed by a late night dinner at Savoy (highlight: chicken-fried duck livers). Sunday, well, we started at Golden Unicorn for dim sum (highlight: roast duck, natch) and then Porsena for dinner (highlight: Green beans). Monday, we enjoyed homemade chips at The Pony and then a prix fixe steak at Le Relais de Venise (highlight: free bottle of wine on Monday). Tuesday morning was a salt bagel and scallion cream cheese at Penn Station (highlight: SALT). I lived to tell this tale. It was taco weekend in our neck of the woods. Er, actually taco week, as I made enough for an army and we've been reinventing leftovers ever since. I think the last bits are going into the freezer for another day. Can't wait to see what you're doing with those gorgeous birds! We made the Pork Belly from Alinea Saturday night. That recipe is a keeper! Sunday/Monday we went skiing in the White Mountains of New Hampshire and had a great dinner at the Wentworth Hotel in Jackson, one of our favorite vacation destinations. 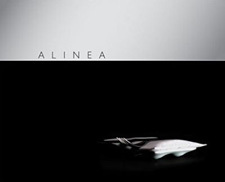 I worked on Monday, but I did do some Alinea cooking on Sunday! I'm having a dinner party next weekend and am going to be doing about 7 or 8 alinea dishes for it, so I wanted to try a few of them. Plus, my wife was out of town and it was just me and the dogs, so why not eat well? I did the Egg Yolk drops, asparagus, meyer lemon dish and the Wagyu with honeydew, cucumber, lime sugar and soy pudding as well. Both awesome, both on the menu next week. This weekend consisted of an exceptional food-fest! I was invited to a Russian cabaret in Brighton Beach, NYC and had......I can't even remember everthing......but none the less amongst other things I had Vodka (of course), crab salad, shrimp, assorted cheeses, goat cheese stuffed in phylo sticks, roasted potatoes, carpaccio, squid, blinis, caviar (lots), foie gras in a cherry reduction (to die for), filet mignon, asparagus, salad, salmon - both smoked and poached, many miniature pastries, coffee. I'm sure I'm forgetting some items. Good thing there was dancing too so I could burn off some of the calories. The next day I ate: NOTHING! We did a food trip to NYC. Lunch at Hung Ry noodles, dinner at the Spotted Pig; breakfast at Bouchon bakery, lunch at Artisenal, dinner at Tsampa (Tibetan), breakfast (again) at Bouchon bakery, lunch at Eleven Madison Park (transformative!) and then home. Ok, I'll bite. Last weekend was the ultimate decadent brunch. I used a giftcard from my incredible students to take my two best girlfriends out to brunch at Coquette, Raleigh's one true brasserie. French onion soup, croque monsieur and their signature Coquette 75 (champagne, gin, house bitters) would have made a classic meal, but why stop there? I indulged in passionfruit, mango and blood orange sorbets and a glass of 2000 tokay, that most remarkable of dessert wines. Frankly, I can't imagine a better morning, great food, great wine, and great friends. Thanks for letting me share! i'm late to the party but better late than never huh? spent the weekend at the seaside with my best girls. we drank lots of pinot noir, nebbiolo, and local brew pub beer. we ate our fill of smoked salmon caviar, salad dressed with meyer lemon and olive oil, and cajun fried oysters. 2 nights in a row. can't wait till next time. After an unexpected trip to France this past summer, I fell deeply in love with pâté. So this week I finally learned to make my own. Dealing with a pound of raw and extremely bloody chicken livers? Pretty undramatic, actually. I've been eating grilled crostinis with pâté for breakfast, lunch, and dinner ever since. And I also vote for many more photos of your furry little friend.